October is Down Syndrome Awareness month. Or as my friend calls it, Rocktober, 'cause our kids ROCK their extra chromosome! I took a photo of Cade being a very typical toddler. It gave me an idea...every day this month I'll post a photo of him doing something that's "so very typical". And on Facebook, I'll invite my friends to do the same. We have a cabinet that's safe for kids to play in. 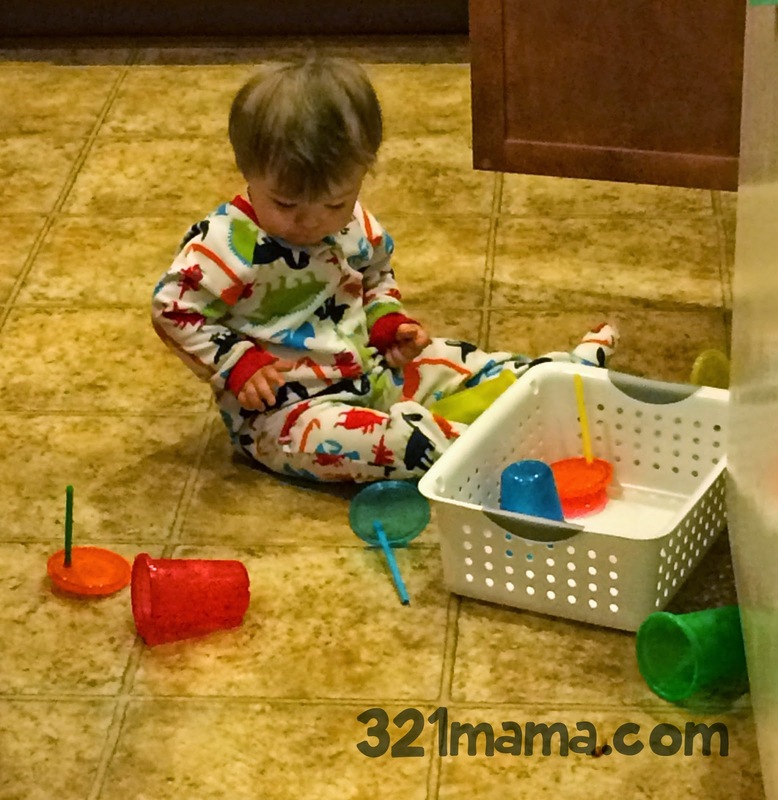 Sippy cups are fair game. He spends a portion of every day, alternately sucking on each straw to find one that maybe contains something yummy.